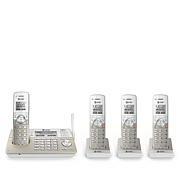 This 5-handset system provides interference-free DECT 6.0 performance to every corner of your house. Caller ID Announce makes it easy to screen out the calls you want to take from the ones you don't. You can even block the calls you never want to receive. 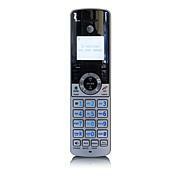 AT&T 5 cordless handset with call blocking is a technology wonder. No more unwanted calls! The set-up was easy. The design and color of the handset are very nice. Wish It could have been available for purchase years ago. I liked these so well I bought more to expand to all the rooms in the house. They really work at filtering unwanted calls but allowing others through. I even got my sister to buy a set. Excellent phone so far. Great features and love being able to block pesky calls with Smart Call Block. Very easy to set up and looks great. 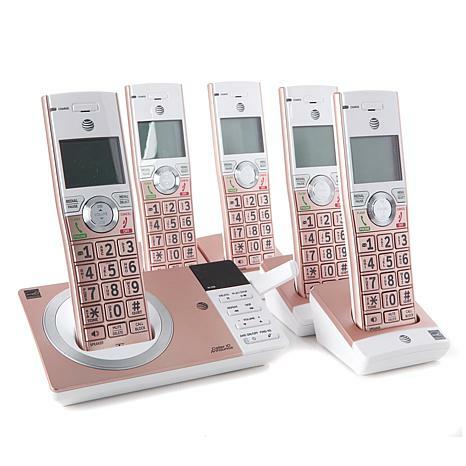 The only complaint I have is the intercom is a little more complicated in comparison to the phone I had before but getting used to it. However, I would buy the phone again and do Highly Recommend!! Who better to trust with your phones and phone answering systems than one of the largest telecommunications companies in the world? 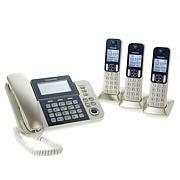 The new AT&T brings you systems designed with the quality, style and functionality that customers have come to expect. 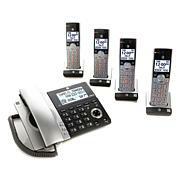 Products are packed with features that make life easier, like Caller ID/Call Waiting and multiple handsets.